Venus is just trying to stream pong on her 56 kb/s internet connection since that’s all she can afford, but that annoying stallion Mars just can’t keep away. I thought she was playing Fallout 4. :( Also why do you need Manticore to play Pong? PONG!? 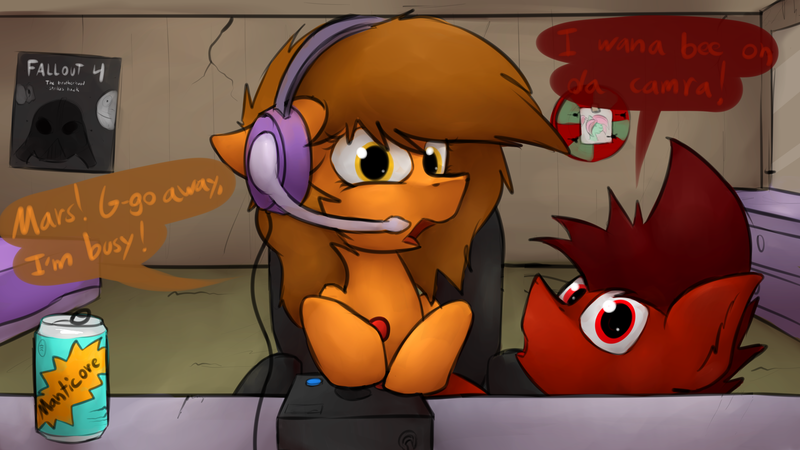 D: I thought she was playing Fallout 4. :( Also why do you need Manticore to play Pong?